 Public Lab: Would the desktop spectrometry kit work for measuring fluorescent responses? 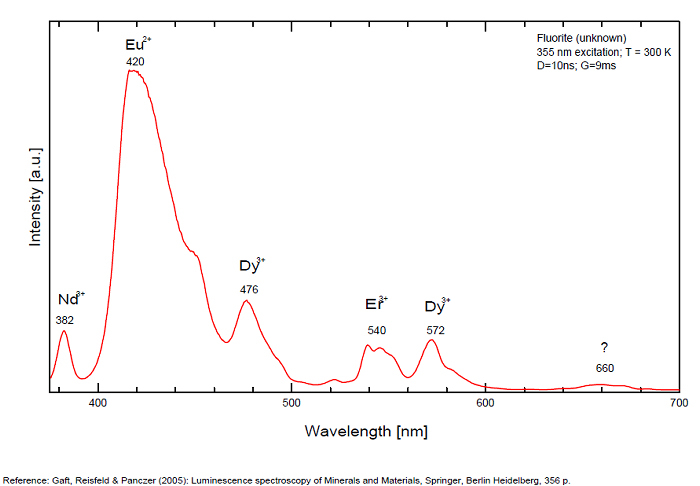 Question: Would the desktop spectrometry kit work for measuring fluorescent responses? Does the diffraction slit that is offered also fluoresce? Any other thing I might not be thinking of for measuring fluorescent responses? Or, just at https://publiclab.org/tag/fluorescence -- there's a button there -- and it's helpful to keep questions separate so we don't mix all the answers together. Don't be afraid to post several! That's a good question about the DVD plastic fluorescing. I don't know of anyone who has raised that question about the Public Lab spectrometers. If you have access to those pure UV light sources, you could answer the question. Shine only the pure UV source on a DVD and take a photo with a good camera. Good cameras have UV block filters, and the glass in the lens will block most UV, so if the photo is black then the DVD does not fluoresce in that UV light. If the slit fluoresces in UV light, just make a slit with two razor blades or utility blades. That will work better then the printed slits. The web camera in the Desktop Spectrometry kit won't resolve the peaks as well as the Ocean Optics spectrometer, but if you use a good camera to take photos of the diffraction patterns your wavelength resolution will be much better. Comparing the intensity of different peaks in a spectrum is fraught with error when using a DIY spectrometer based on a consumer camera, so identifying the minerals responsible for the peaks might require some guess work. For anyone wishing to know in the future this kit is not adequate for this task. I purchased the Desktop Spectrometry 3.0 Kit after not receiving a satisfactory answer from anyone. The camera's sensitivity to light is nowhere near great enough with even my most powerful UV sources. In my case it did not register fluorescent reactions of calcite from a 20W LED source right next to the specimen. Hi, what does your setup look like? Can you upload a photo of how you're arranging the light and the samples? As this gets proven out, we're hoping to begin carrying this as a more sensitive variant.